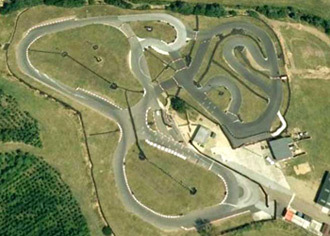 Anglia Karting is a well run, purpose-built outdoor kart circuit in Norfolk. The 1030-metre track is floodlit and a great deal of thought has gone into the layout to ensure that drivers will get the best out of the 70mph Thunderkarts that run on the track. The 'normal' track configuration is to split the full circuit into two and most race events take place on the larger 675-metre section leaving the 400-metre track for juniors and arrive-and-drive events. Anglia Karting offers the usual range of Grand Prix, Endurance races and arrive-and-drive sessions as well as open sessions for mini bikes and pit bikes. If that isn’t enough, then Clay Pigeon Shooting can also be arranged. Anglia Karting is just off the North Pickenham Road east of Swaffham and the A1065. A 30 minute event for adults and kids to drive at the same time. Ideal for fathers and sons and their friends to enjoy driving together on the same track. Contact us for details of the corporate packages available at this venue and other activities including clay pigeon shooting. Contact us with dates and numbers and we will provide you with a selection of race formats, prices and availability.